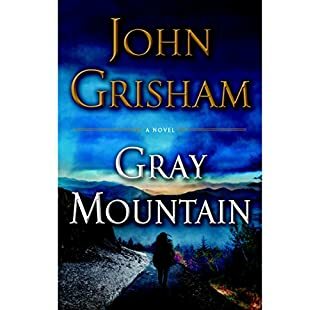 What disappointed you about Gray Mountain? Has Gray Mountain turned you off from other books in this genre? Which character – as performed by Catherine Taber – was your favorite? All the characters were OK. Just none that were remarkable. The story rambled in so many different directions--all of them mildly interesting but nothing to stay with. There were too many possible places to go but in the end none of them produced. It felt like the memoirs of a former New York legal associate. Nothing more going on than that, really. Actually, what it felt like was the set up for TV series that would get painful watch after about three episodes. What disappointed you about The Director? I could never be confident I knew who the story was about. There were several--several--interesting, well developed and intriguing characters. But whose story was it? In the end, this was cleared up but I'm talking the VERY end. And when it was, all the other interesting characters that I had invested in just sort of melted. The ending? Well, let's just the guy who turned out to be the main character got really, really lucky. My favorite character was the guy who had to make the hard moral choices. Readers often expect such characters to be the main character. This guy kind of was until he wasn't anymore. The national information czar, the director of national intelligence. That was the other confusing thing. The Director. There were three of them. I'm sure this was intentional, but it also contributed to the gnawing uncertainty that there might not have been a main character. I thought the subject matter was fascinating, current, credibly portrayed. The main technical flaw in the cyber-security plot was that ALL systems these days are archived and can be re-created. But that turned out to be OK because the real issue was the timing. It takes time to put such things all back together and the operators struck in the interim. The book felt like an exploration into multiple characters without really a coherent plot. The villains were unmarked. The implicit threat was vague. The motivation was, in some cases, irrational. I found myself often looking for a place to put my foot, a perspective from which I could evaluate the stage. That kept shifting which might have been intentional abut it didn't work. 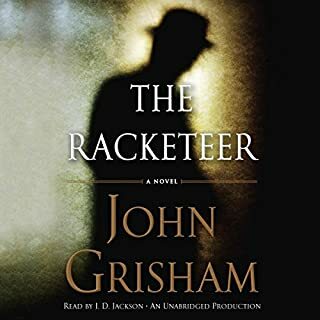 Grisham is always top notch and like so many listeners, once I start, I can never put down his stories. But while J.D. 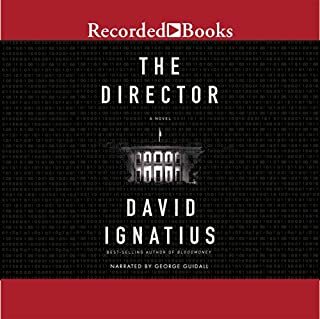 Jackson is the pitch-perfect narrator for this audiobook, playing it at 2 x speed really helped me stay with his otherwise over-comtemplative pace.